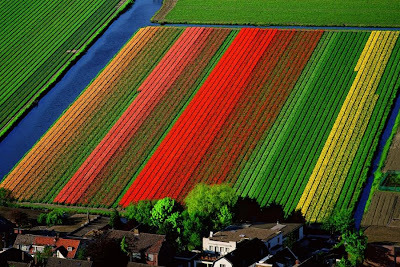 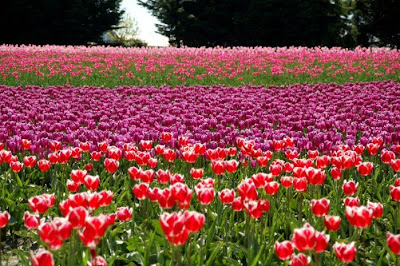 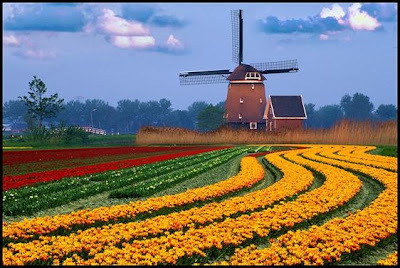 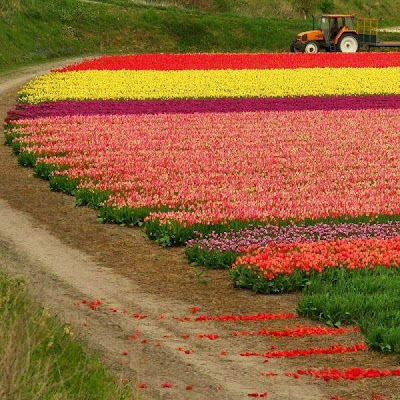 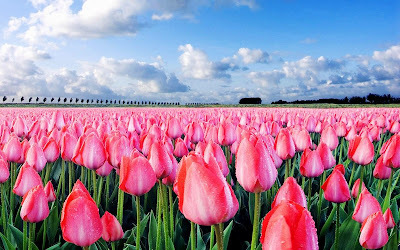 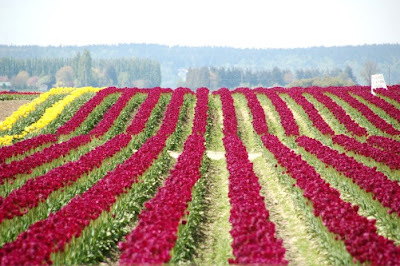 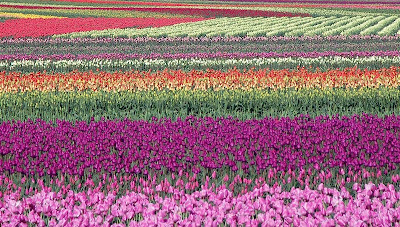 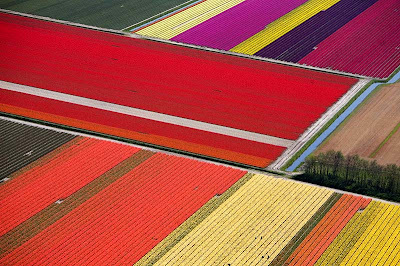 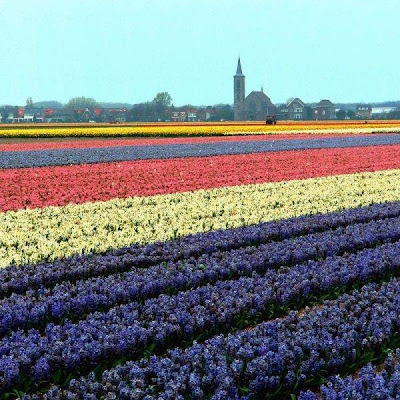 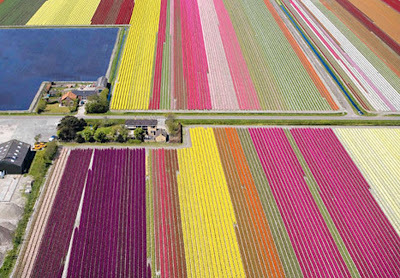 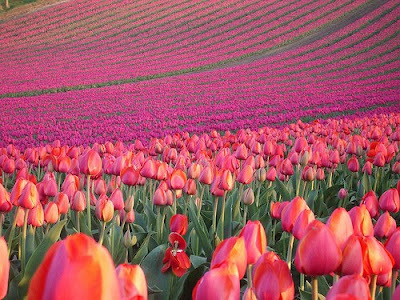 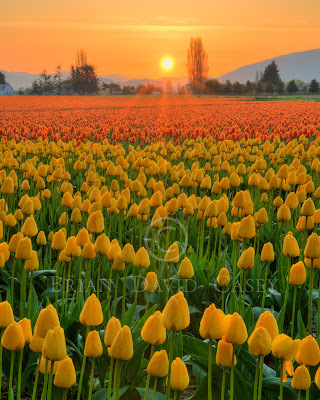 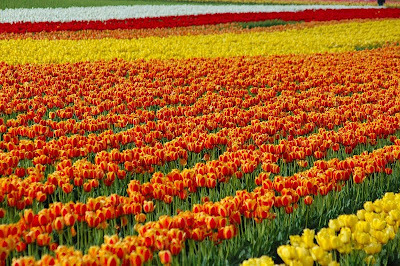 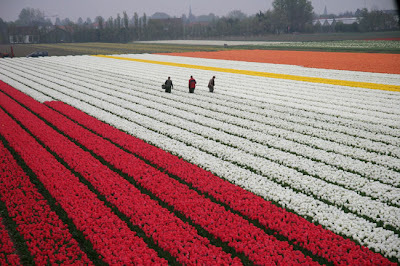 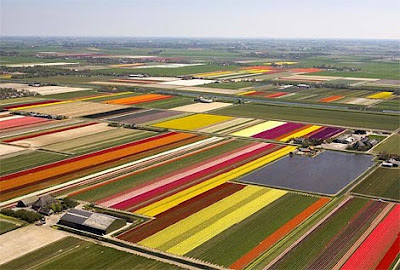 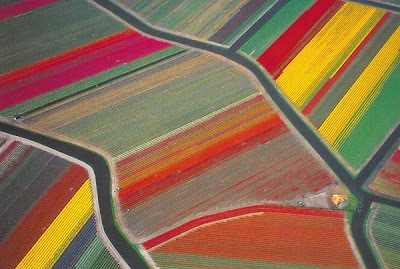 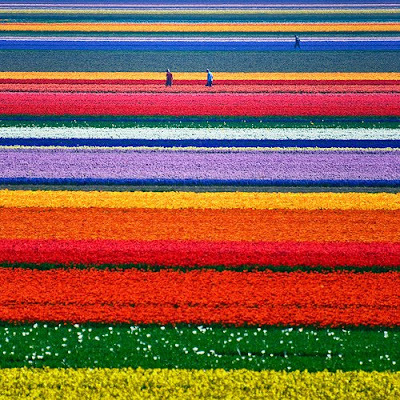 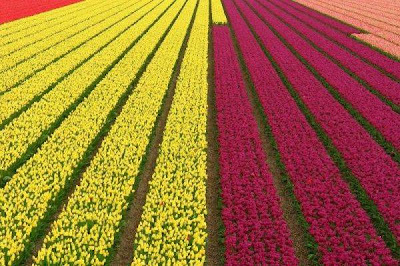 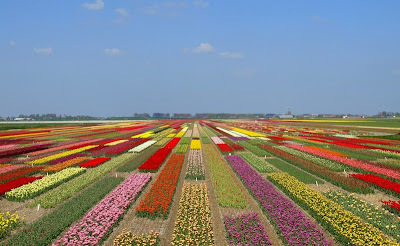 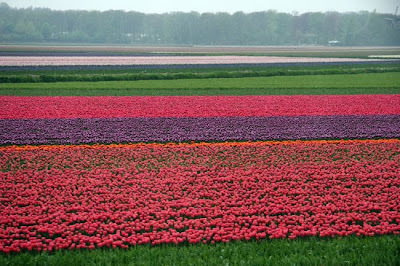 Check this great gallery with 25 photos of most beautiful tulip fields from all over the world. 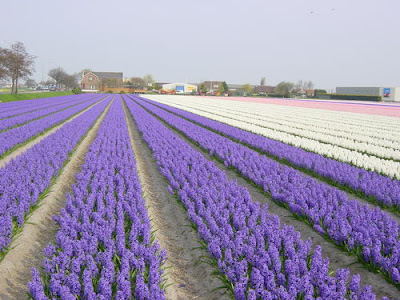 Most of them are of course from Netherlands. 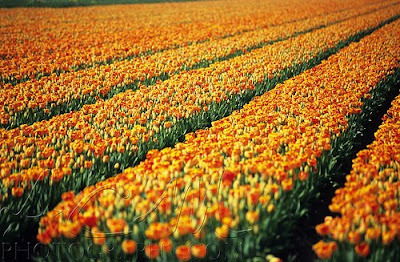 German tulip are better than the Dutch ones.